Old map by WILETTE - Exposition Internationale des produits du commerce . . . Title: Exposition Internationale des produits du commerce . . . Size: 15.7 x 11.4 inches. Colouring: In original printed colours. Condition: Original lithography from the famous series "Les Maîtres de L'affiche". Size of paper 290 x 400cm., size of image 323 x 235mm. 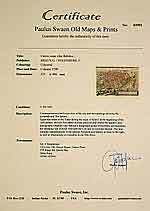 In the bottom right margin the blind embossed publishers stamp. 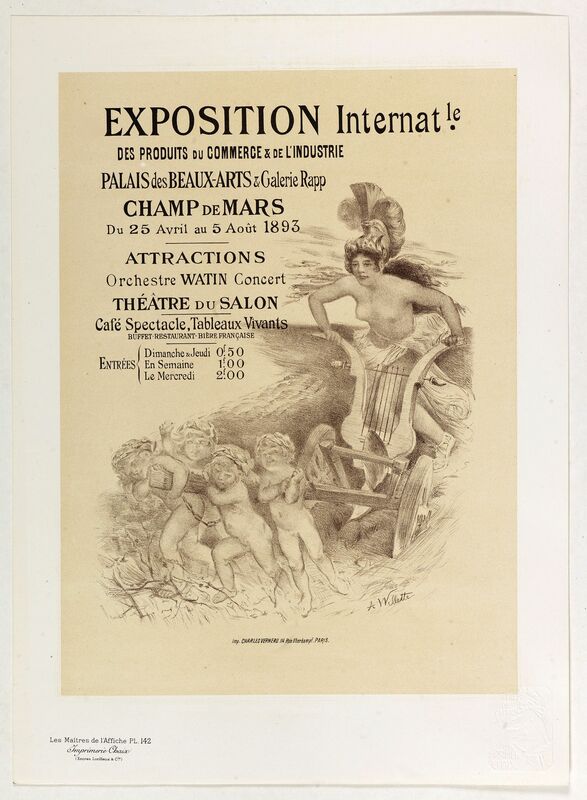 Chromo lithographed poster, "Exposition Internationale des produits du commerce . . .", by WILETTE, A. Plate 142, published in Maître 17, on April 1896. The "Les Maîtres de l'Affiche" contained 256 small for lithographic prints of the best posters of the Belle Époque and was offered as a subscription series to collectors, from December 1895 through November 1900, subscribers received by mail monthly 4 loose sheets (Maître) with a cover sheet. Maître's were never issued in a book form. A very high quality of paper was used, were as the large format posters were usually printed on lesser quality newsprint, due to cost and a short expected life span. The quality of the printing, in the "Maîtres de l'Affiche," usually far exceeds that of their larger counterparts and was offered for sale at the price of an original poster. Read more about "Les Maîtres de L'affiche".